Yes, too much HGH can be dangerous for the human body. When the body has too much human growth hormone floating in the blood stream, this can cause negative side effects. Depending upon the ailments that this causes, a person can put themselves in danger of suffering with some pretty severe health issues. This is why hormone replacement therapy (HRT) requires a prescription and medical supervision from a qualified doctor. Can you have too much HGH? Yes. 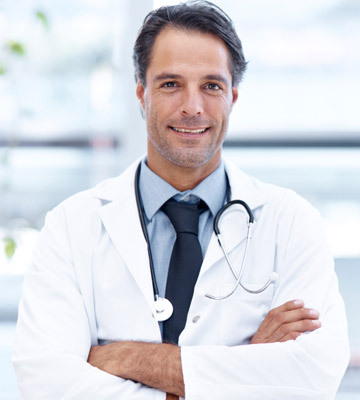 If you do not follow your doctor’s instructions or buy HGH medication without a prescription, you are taking the risk of subcutaneously injecting too much human growth hormone medication. What happens if you have too much HGH? There can be many side effects that can take place ranging from mild to quite serious. Below is a list of the possible problems that a body can endure if too much HGH is taken. What happens when you take too much HGH? Each one of the issues listed above can be what happens when too much HGH is released into the blood stream. Symptoms can vary from person to person. Since everyone is individual, at different ages with varying body chemistry and body composition, side effects from too much HGH can differ from one person to another. The list above should only be used as a reference source. Some of the side effects of too much HGH may seem more serious than others. That can be true; however, no issue should be taken lightly. If left untreated, they can worsen in time. If a negative side effect occurs from an overdose of HGH, it can be dangerous and should be taken care of immediately. This means calling your clinical advisor or visiting the emergency room as soon as possible. Never leave a side effect from too much HGH alone. Problems must be attended to as soon as they are noticed. You will always be prescribed the lowest possible dosage of medication when you first start HRT. This is another way to stay safe when taking the injections. Starting on a low dosage allows for the body to acclimate to the medication and to make sure that no allergic or other reactions occur. If you have any other questions such as, “What happens when you take too much HGH,” please feel free to reach out to us. You can either fill out our online contact form or call us directly. Our expert clinical advisors are here to answer all of your inquiries and to help you decide if HRT is right for you.